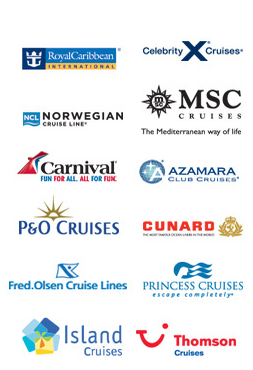 If you take a look at the wide range of cruises available today, you’ll notice many of them depart from a foreign port. Even if you hop on the ship in the UK you’ll often end up having to fly home from the port you end up in, or vice versa. However you can also find no fly cruises, where you don’t have to worry about any flights at all. There are plenty of advantages to these, so if you’re curious to know more, let’s get started. What are the advantages of no fly cruises? The main advantage is obvious if you happen to be afraid of flying! In this sense a no fly cruise is one of the best holidays for fearful flyers to go on, because it enables you to see many different countries without leaving the land (or in this case the sea). But the benefits don’t stop there. You can also take advantage of taking more baggage with you, even if you are only going on a one or two week cruise. Generally speaking, many people opt to drive to the port, so all you have to do in this situation is to transfer your luggage from the car to the ship. Then it will be taken to your cabin for you. As such it offers the minimum of fuss and it is particularly convenient if you always have trouble paring things down so you don’t go over the baggage restrictions on an airline. Do you have to drive to the UK port? No, there are other options if you don’t drive or you don’t want to leave your car at the port for the time you are away. You could get a friend or family member to drop you off and pick you up when you return; alternatively if you don’t live too far from a port you may even consider a taxi. However there is another option. Many cruise lines offer coach travel from near your home to your departure port, which makes life even easier. The ‘feeder’ coach picks up you and your luggage and takes you to the port before transferring your luggage over for you. As you can see there are many advantages to choosing a no fly cruise, and they aren’t just restricted to avoiding the crowded airports and planes. No fly cruises are less stressful in many respects. Also for many people the main appeal is that the holiday begins from the moment you step on board the ship in the UK port. Where do the cruises leave from in the UK? Southampton is one of the most popular UK ports to travel from and represents the bulk of the ex-UK cruise capacity. However there are other options as well, including Dover on the south coast and Edinburgh all the way up in Scotland. Harwich is another popular option, as is London. Which cruise lines offer no fly cruises departing from the UK? You’ll be pleased to know these cruises are becoming more popular and therefore more cruise lines are offering them as an option. Look out for cruises by the likes of Cunard, Royal Caribbean and P&O Cruises for example, to see what is on offer. For instance P&O offers a cruise for ten days departing from and returning to Southampton. This particular cruise visits Portugal, Spain, Morocco and Gibraltar before returning via Portugal back home to the UK again. Another example is a shorter five day cruise via Cunard which also leaves from and returns to Southampton. This visits Paris via Le Havre and Brussels, offering a shorter but equally enjoyable trip at sea. So you can see that even if you are a nervous flyer there is no reason why you shouldn’t visit all kinds of different countries by opting for a no fly cruise. You might find there is a port near you where it is convenient and easy to board a cruise ship for a fantastic holiday abroad. Join Cruise Offers VIP email club to find out about the best no fly cruise deals. CruiseOffers.co.uk – Enjoy big savings on quality cruises.